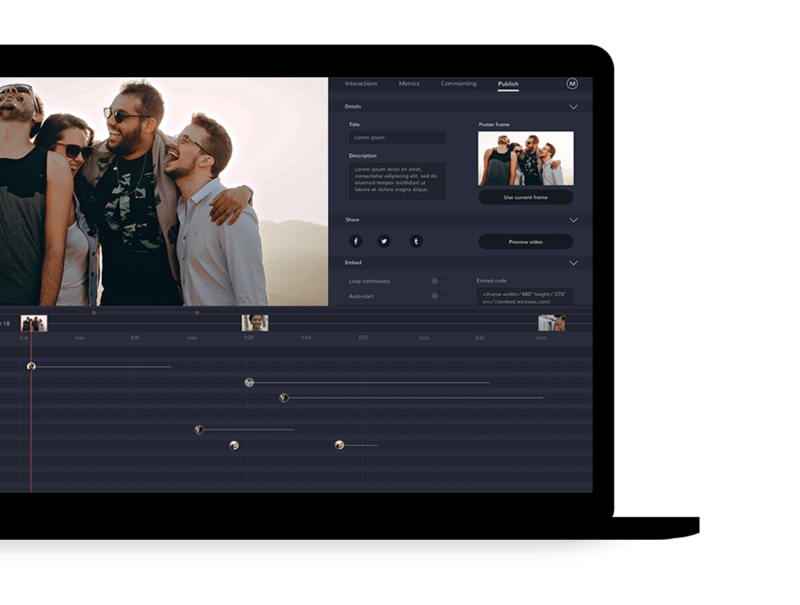 WIREWAX - Interactive Video — WIREWAX Studio - the smartest way to create interactive and shoppable videos. WIREWAX Studio is the smartest way to make interactive, shoppable and e-learning videos. Our self-serve Studio platform is designed to help you build powerful interactive and shoppable videos with ease. It's packed with hundreds of features to turbo-charge your videos functionality in a customised fashion that works for you. You can get started easily with a hassle free, no credit card required 14 day trial. Whether you're making your first video or a seasoned pro, our tool has everything you need to create world-class interactive and shoppable videos. Whether you're making your first video or a seasoned pro, our online platform has everything you need to create world-class interactive and shoppable videos without the need for developers. Our technology automatically finds every person in your video so you don't have to. You're then ready to assign interactive layers. Your video is already more intelligent than when you started. 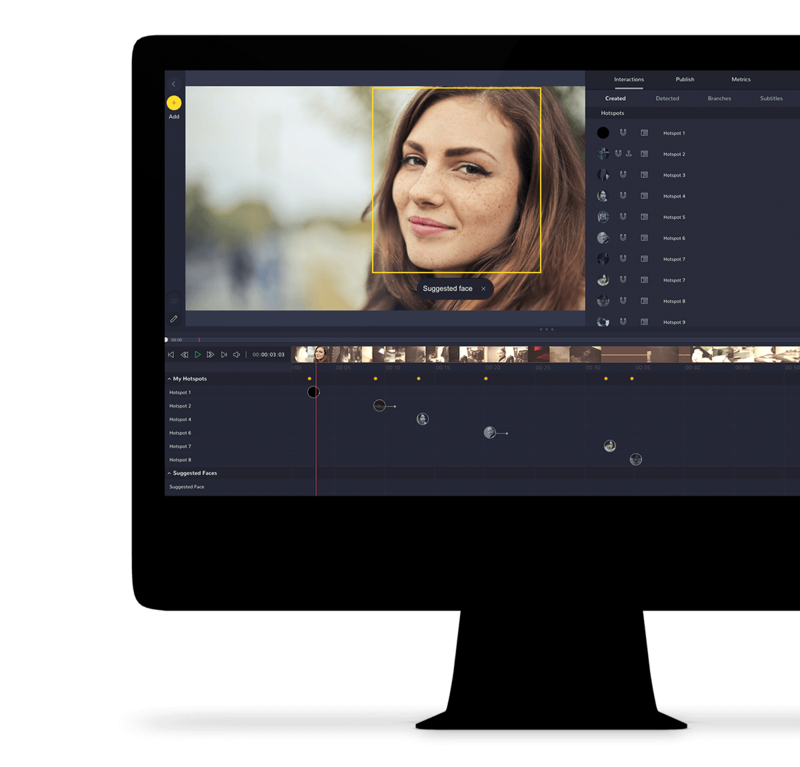 WIREWAX Studio is the one stop shop for online video. 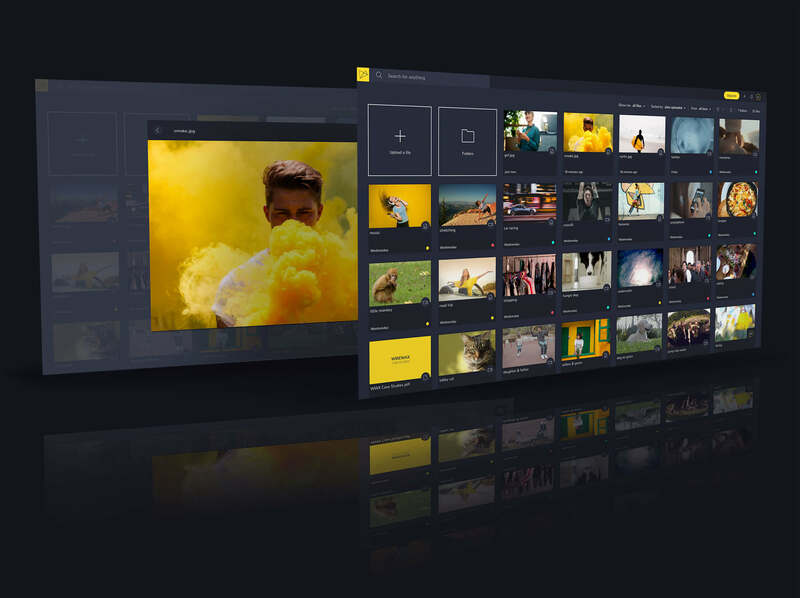 Host, serve and distribute all of your videos with a multi-award winning global content delivery network and our lightning-fast, powerful and flexible HTML5 video player, removing the need for multiple video hosting partners. Even if your video or image isn't interactive, you can utilise our powerful search, hosting and metadata services. No other platform can tell you more about your viewers or give such detailed insight into your viewers’ behaviour. 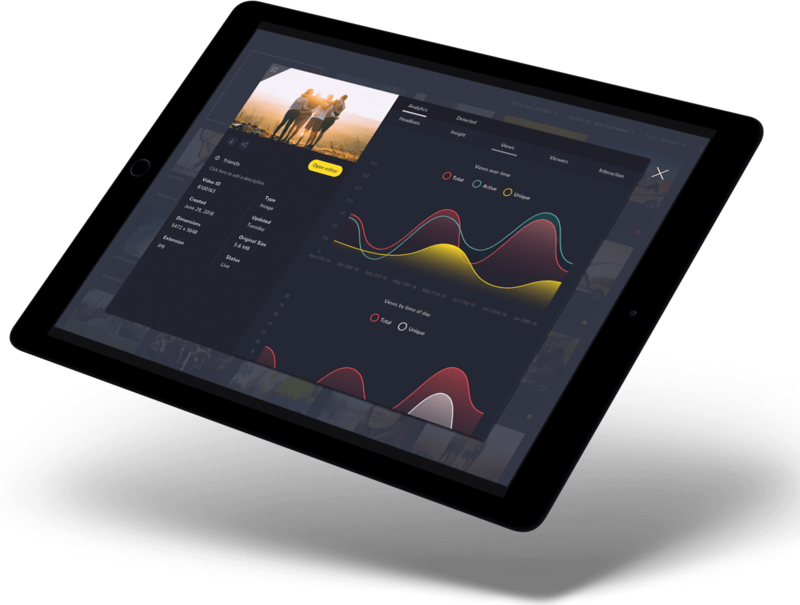 Watch over 120 data points in real time, measure success and learn how to optimise your creative with our powerful metrics dashboard. Our smart technology automatically finds every person and object in your video while it's uploading, but that's not all, it'll also give you auto-generated subtitle suggestions in 63 different languages. Meaning you can focus on the smarter stuff like adding interactive hotspots and overlays to bring your video to life. 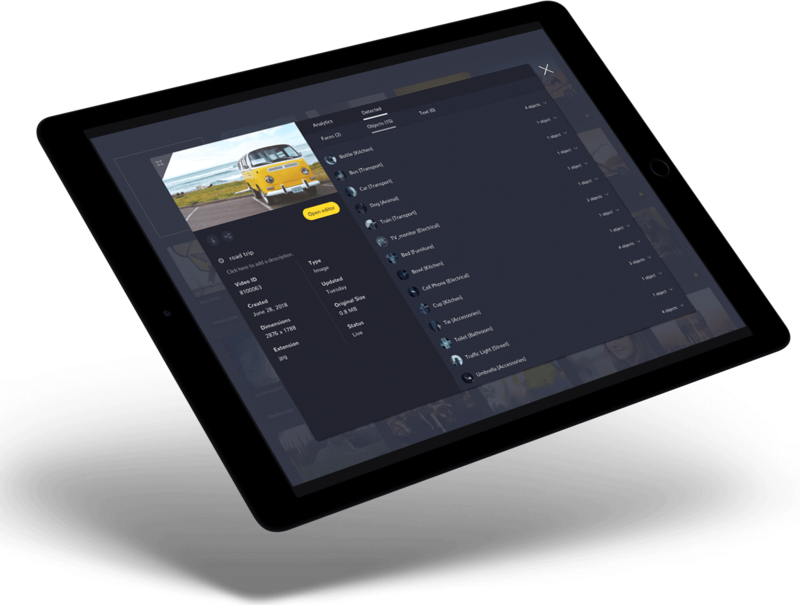 Host, serve and distribute all of your videos across our global content delivery network, utilizing our powerful, yet flexible HTML5 video player, removing the need for multiple video hosting partners. Even if your video or image isn't interactive, you can still utilise our powerful search, hosting and metadata services. Watch over 120 data points in real time, measure success and learn how to optimise your video campaigns with our metrics dashboard.